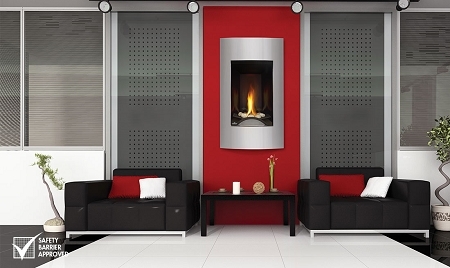 With its sleek, tall, slender design, the Napoleon Vittoria™ Gas Fireplace easily installs into smaller wall applications, perfect for entranceways and corner wall installations. 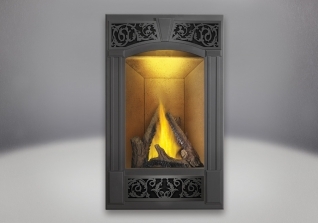 With the choice of a traditional log set and traditional facing kits or a river rock setting and contemporary facing kits, the Vittoria™ now offers two entirely different looks. 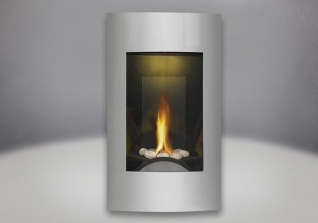 The Vittoria™ features Napoleon’s exclusive NIGHT LIGHT™, electronic ignition with battery back-up and heat radiating ceramic glass. 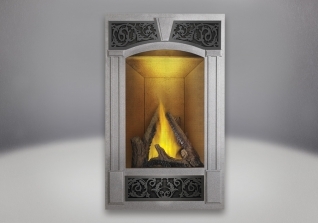 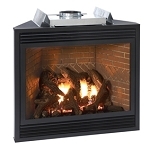 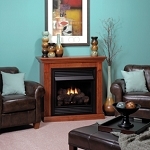 Either choice, traditional or modern, the Vittoria™ is the perfect fireplace for smaller living spaces.